On the new Character models: Bliz saw that the Pandaren models looks so much better than the rest that, well, they needed to update things. This requires a non-trivial amount of work to not only update face, hands, and whatot, but also to make sure those changes fit with existing facial features, hair styles, items, and so on. The upgrades include animations, so Orcs might do a visible grunt as they jump. The upgrades probably won’t cover Blood Elves and Draenei (or Worgen & Goblins?) because those are much newer models. Humans, Orcs, and the others are all pretty ancient. So just to clarify the way that players will enter through the Dark Portal and go back to Draenor; we are actually going back to Draenor 30 years ago, but the way that the rules [of] time travel works is that what you are trying to do is prevent the completion of the new Dark Portal that the Iron Horde are building. As long as you can prevent that from happening, anything that happened while you were on Draenor will not persist into the current timeline. It looks like this is giving the Devs a chance to do some interesting things without messing with the current world, as long as we make sure that new portal never gets off the ground. Clearly, in our timeline it was never done so the two don’t necessarily have to have any effect on on another. Along the way it gives us a chance to interact with some cool NPCs. There was no mention as to the events that made the two worlds physically so different. Obviously Warlords is before those events. In Anarchy Online, and some other games, there was actual player housing. You could invite your friends and do a limited amount of stuff. In Warlords, Blizzard is going to give you something a lot more customizable. A whole town, basically. So not only do you get a place to park stuff, you get towers and buildings to place, and eventually upgrade, plus followers and the town’s economy. Followers can be named and you can interact with them to some degree. The Anarchy housing was instanced, so it could all occupy the same game space. Garrisons will be the same way. There just isn’t enough open land for everyone. There will be a system for players to interact with each other’s bases. As far as the “economy” of the town goes, a lot is still up in the air, including how many followers you can have and just what they will be able to do. They will be able to gather resources to be used in building your place up, but how that works is still in the works. If it’s popular they may consider expanding on the idea, maybe even moving into other parts of the world. As it stands now, items do not increase linearly in power as you level. It’s more exponential, which just means that each new level is a bigger increase than the old level. A linear system would have the new level give you about the same increase as the old level did. so 59 to 60 would be about the same as 89 to 90. Gear from the next expansion is making current top level items obsolete as soon as the next expansion launches. High level players become far more powerful than slightly lower level players. There’s also the issue of WoW’s code being able to handle the numbers well. An example of the numbers problem is Cataclysm. Gear from that expansion can be had at level 77 and is far better than Wrath of the Lich King gear of the same level. It’s actually comparable to the better raid gear. With Mists, you can get gear at 81 that is higher (slightly) item level than the best raid gear from Cata (ilevel 417 Vs 416, but the latter has gem slots) so at the point where you can enter the Cata expansion all the Cata gear is pwned by the Mists gear. Ok, that’s blue mists gear and it might not be readily available. The Cata raid gear is better than the Mists starting green gear. The level 90 greens are 429 or so. But there are a fair number of blue drops and if you can afford them you will way outgear all the Cata content. Without an item squish things would be worse in Warlords. The top Mists gear would be quickly obsolete. So an item squish make things far more reasonable. Your top (or even middle) raid gear (and PvP gear) will last you well into the next expansion. Hit and Expertise are going away and they’ll be replaced with cleave, multi-strike, movement speed, and maybe others. These stats may well change from item to item. So that new Healer Staff of Mightiness might have movement on it the first time it drops and Cleave the next time. And reforging is being removed completely. Probably a good idea, though I didn’t mind it. Another interview by these guys, with Dev. Chris Metzen, rgarding the creative side of things. Blizzard told me that it’s definitely looking into procedural and user-generated content to revitalize its slowly withering world. Withering? Really? Common guys… The discussion here is covering user-generated content, expansions, and so on. 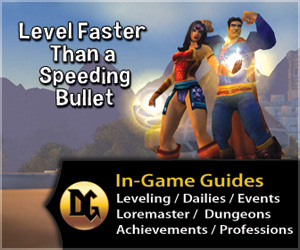 WoW is, justifiably, proud of its hand-crafted content and would generate a lot more if it would. That’s the problem with “hand-crafted” though, isn’t it? 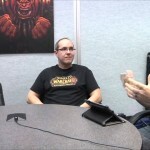 They are looking at ways to speed up content creation, bring up new expansions sooner, and keep them consistent with one another. (That item squish, above) will help a lot, I think.) Will it ever be free to play? Not likely. Can’t say “definitely not,” but they aren’t even discussing it at this time. We just need to keep making the best game we can make. That’s what it really comes down to. We have a good game and some great ideas on how to carry it forward. Kotaku, linking to the RockPaperShotgun post, discusses a bit about “Procedurally-generated content,” which is content generated by the computer, not people. Apparently Bliz has seriously considered that idea and may implement it at some point. Imagine, for example, Raid bosses who have randomized (at least somewhat) abilities. Or differing dungeon paths and groups of mobs. Sounds like a cool idea. Here’s their post. Having dungeons or scenarios change up slightly every time you enter them could certainly make re-running them a little more fun. You could speculate all day about what they could do with this — alternate paths through a dungeon, dynamic events, randomized trash and bosses, environmental gameplay, and much more. The video is about 19 minutes long, enjoy.